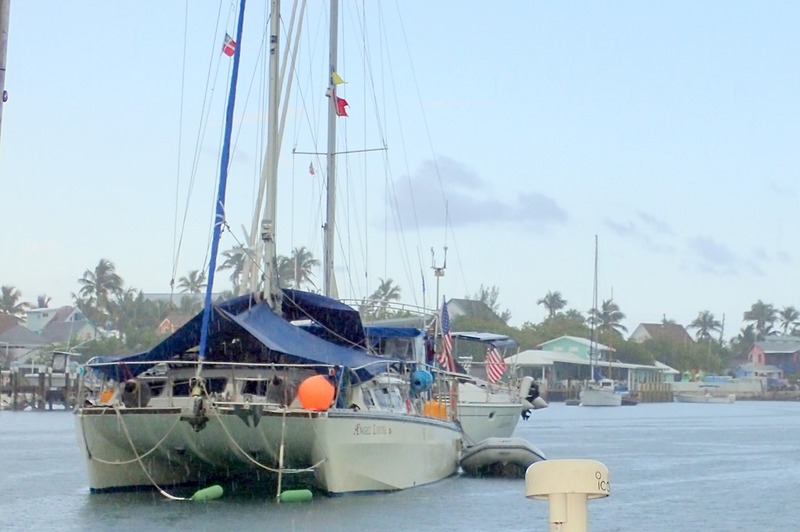 Hope Town harbor is a treasure trove of cruising icons – people and boats. Three boats moored next to us are great examples. Of course, everyone thinks their boat is the best (I know ours is), but here are the best of the best. This is a Valiant 40, first built in the 1970s and designed by Bob Perry. It’s a double ender, meaning that the back (stern) end is shaped like a canoe – not flat like most sailboats. The Valiant has a well-deserved reputation as a fast and serious ocean-going passage-maker. 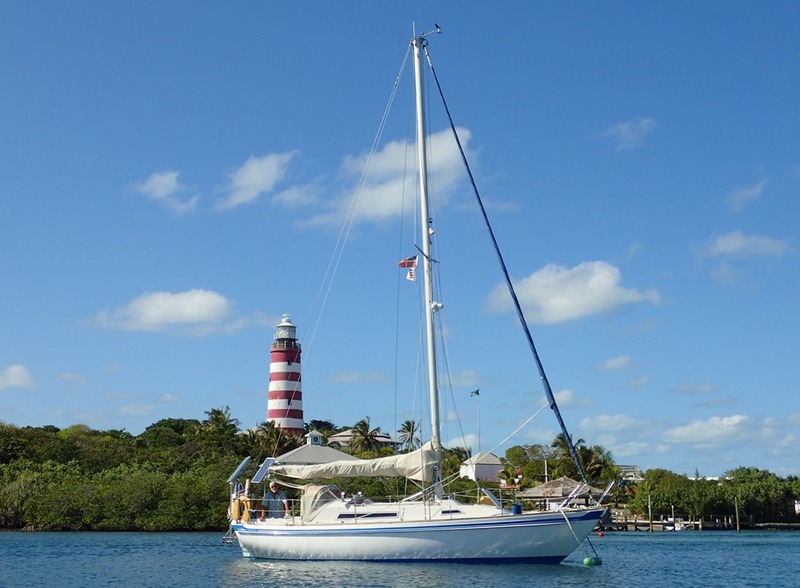 Some claim no other cruising boat has logged as many open ocean miles. In 1997, the Valiant 40 was inducted into the American Sailboat Hall of Fame. This particular Valiant, named “Tamure,” circumnavigated in 1987-1991 via the Red Sea. 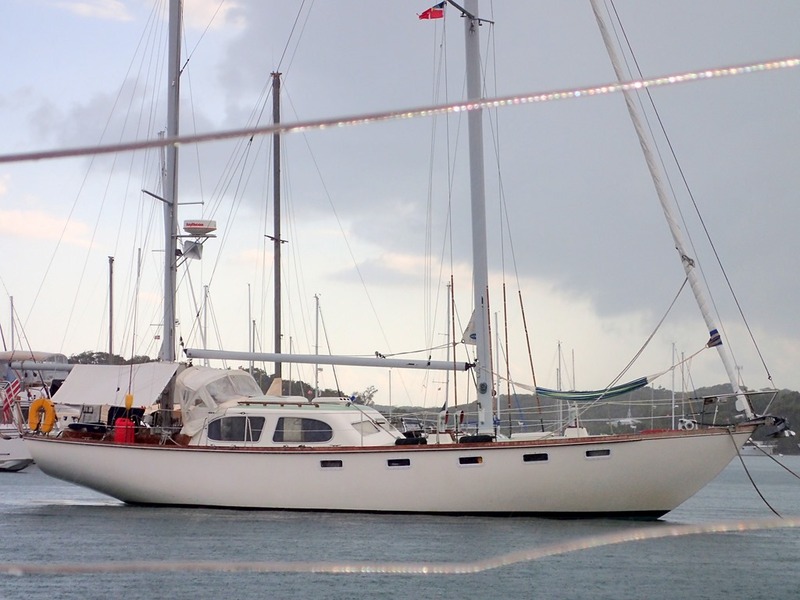 Its owners had previously circumnavigated, in 1971-1974 via South Africa, in another boat. They LOVE this boat. On the other side of us is an entirely different approach to cruising sailboats. 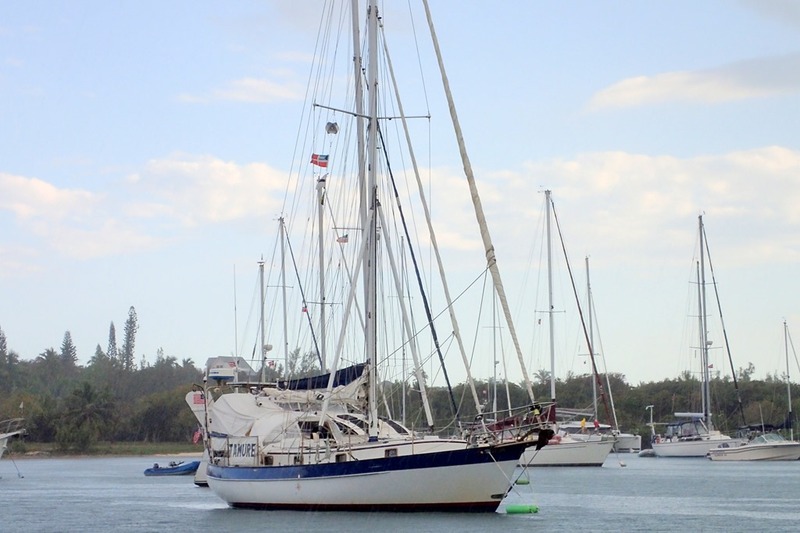 This is a 12 meter English-built Catalac 41 catamaran, built in the 1980s and noted for its rugged construction and seaworthiness. 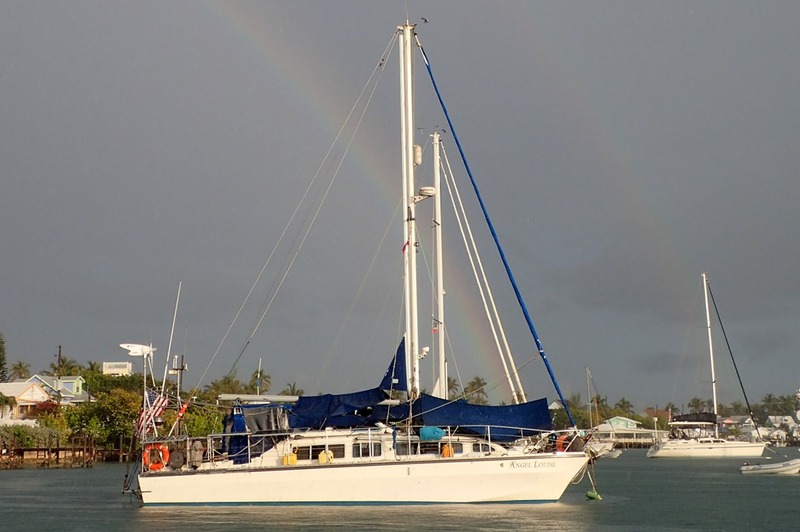 They have been called the best live aboard cruising catamaran ever made. 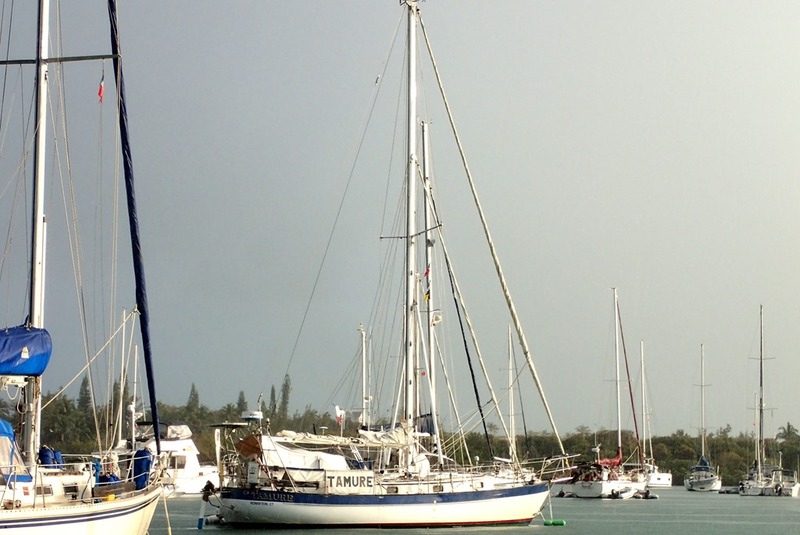 This particular boat, named “Angel Louise,” sailed from Florida to England in 2011- 2012 and from Europe to the Caribbean in 2014 – 2015. These catamarans were designed and built to sail the North Sea – a worthy goal. Boats that have logged a 1000+ mile ocean passage, non-stop, qualify for membership in the Ocean Cruising Club. Their burgee is blue and yellow with a flying fish. 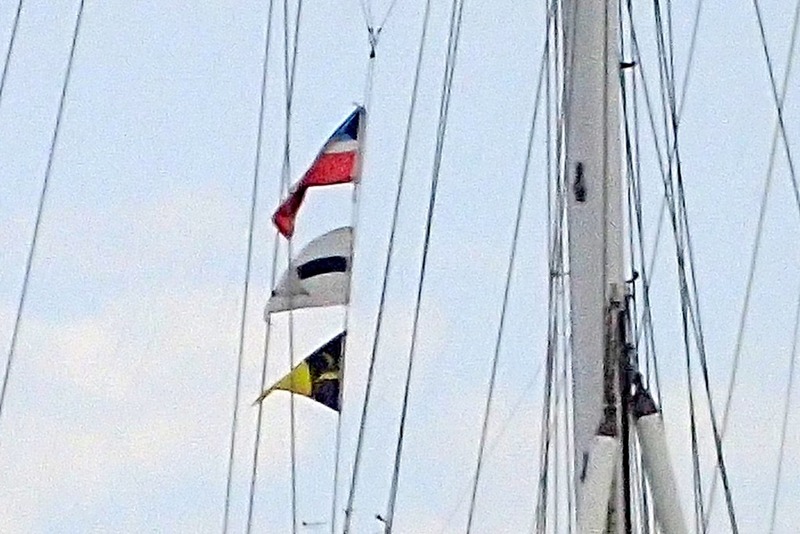 Both the Valiant and Catalac fly the OCC burgee. Also next to us is the beautiful Countess pilot house. A comfortable and quality cruising boat. Anchored just outside the harbor is a Morgan Out Islander 51, a center board, center cockpit cruiser built in the 1970s – a big, comfortable cruiser, sometimes unflatteringly referred to as a big tub. Google these boats for more information. Fascinating adventurers and unbelievable travels. FYI, we like our own boat. Wonderful details and lovely photo of Angel Louise with the double rainbow! I’m enjoying the blog, as always.